The article highlighted that intensive-care medicine had become “the art of managing extreme complexity.” The way to manage that complexity, says Peter Pronovost of John Hopkins Hospital is a checklist, which helps establish a higher standard of baseline performance. 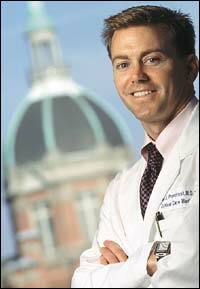 Pronovost was named a 2008 winner of a MacArthur Fellowship, the so-called “genius grant,” which recognizes recipients for their creativity, originality and potential to make important contributions in the future. He also was named by Time Magazine as one of its 100 most influential people in 2008. I had never thought of checklists as having the ability to save lives but it makes sense. Of course, checklists also have practical purposes in other areas, whether the checklists save lives or not. When I worked in law enforcement, one of the first things I did was create a call-out checklist. One of the items on it was to grab a bottle of water. This might seem trivial, but it’s not, especially when you are standing in 90-degree weather for several hours at a crime scene. Dehydration can set in quickly. The checklist also included key phone numbers, talking points, and media contacts, all of which made it easier and more efficient to perform our jobs. When you’re being called out, a checklist keeps you from forgetting any important steps. In my current job, I created a checklist for distributing press releases. It includes check-offs for approving the release, posting the release and distributing it internally. None of the steps are life-threatening, but if overlooked could prevent the press release from being fully visible. Do you think a checklist can transform your work? Social media continues to expand communications options. During a panel discussion, “Effective Uses of Social Media Platforms” several users of social media shared how they are using social media to enhance their business. The discussion was part of “Social Media Smarts” organized by Media Women of South Carolina. She says social media gives the station “an instant connection to what people are thinking or what they want to know about.” While people are watching the news, they also are able to immediately share what they think of the news. “It gives us instantaneous results,” Diana says. The school is able to spotlight the expertise of professors on YouTube, which often leads to media outlets requesting interviews. How are you using social media effectively? Washington, D.C., is a city of symbols. So what does it say when there is no museum to honor the women who have shaped this country? The National Women’s History Museum mission affirms the value of knowing women’s history. One way it does this is through its online women’s history education. It has produced 19 online exhibits and corresponding lesson plans. NWHM is pursuing a building site at 12th Street and Independence Avenue SW, a federal property on the Mall. Because the land the museum seeks is adjacent to the National Mall, Congress must pass legislation authorizing its purchase at fair market value. The National Federation of Press Women is one of many organizations that supports the museum through the NWHM National Coalition. I recently spoke with Joan Wages, president and CEO for NWHM, who emphasized the need for such a museum. “Women are left out of the story,” she said. She noted that in today’s textbooks only 1 out of 10 figures is a woman. Only 1 in 5 statues is a woman. 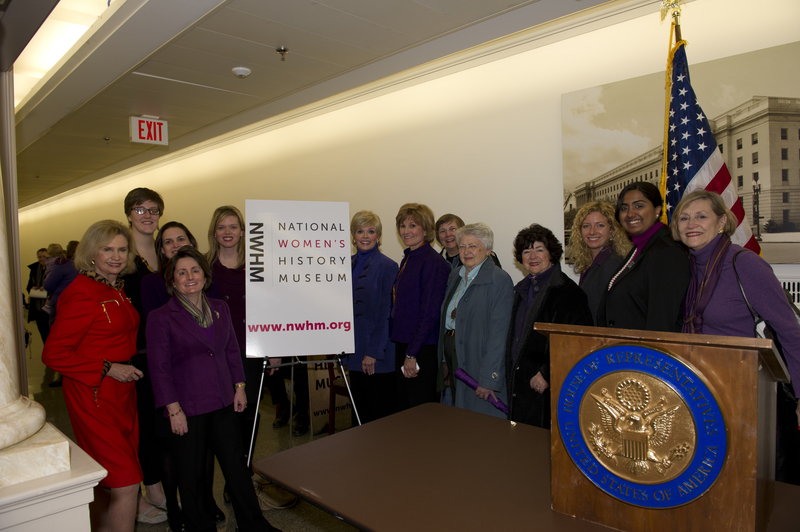 NFPW joined others in support of the National Women's History Museum. Congresswomen Carolyn Maloney reintroduced legislation to negotiate with the GSA for the museum’s site. On the day the legislation was introduced Carol Pierce and Gloria Watkins, both of NFPW’s management team, attended a press conference on behalf of NFPW showing support for the legislation. If the legislation passes, Joan said it will be five to seven years before the doors open. “First we’ll have to raise the funds,” she said. In the meantime, you can show your support by visiting the website. As I was putting together my presentation for Media Women of South Carolina, I updated the number of users on each of the social media sites I was going to discuss. 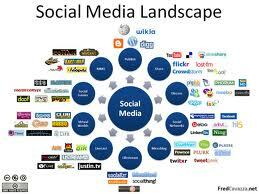 I use social media every day and find the various platforms to be powerful communications tools. I had no idea just how powerful their reach is, though, until I saw the comparisons. In April 2010, Facebook had 350 million active users worldwide. If Facebook were a country, it would have been the fourth largest country in the world. Today Facebook has 600 million active users worldwide. If Facebook were a country, it would be the third largest country in the world – behind China and India. The population of the United States is smaller now than Facebook’s population. One year ago Twitter had 24 million users per month. A year later that number has soared to 190 million Twitter users per month. That equates to about 65 million tweets a day and more than 800,000 search queries per day, according to Twitter.com – Quantcast Audience Profile. YouTube has become the number two search engine behind Google. One year ago, people were uploading 20 hours of video to YouTube every minute. Today 35 hours of video are uploaded every minute. If you’re looking for a job, consider that a year ago, LinkedIn had 50 million members in more than 200 countries. Today, it has 100 million members. Do you have something to say? Then consider writing your own blog, but be aware, you aren’t alone. 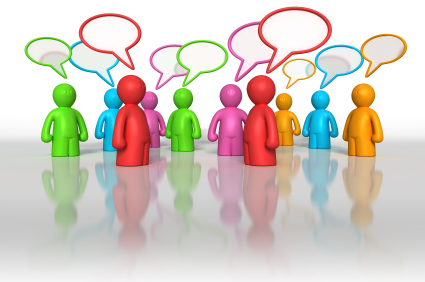 BlogPulse reports that 156 million blogs exist, including this one. Are you communicating where you need to be? I was a big fan of the Flip cam. But during the NFPW board meeting, I realized its limitations. We wanted to make a short video, but we had to worry about sound. And when someone else pulled out their smart phone with built-invideo capabilities, I wondered why I still carried the Flip cam with me. So it was no surprise when I read yesterday that Cisco announced it was ending its Flip camera business. Still, the Flip served a purpose. The Flip became a key communications tool. Easy to carry and easy to use, suddenly every communications division could produce a video and share it on YouTube. Newspaper reporters became videographers, posting breaking news stories to the newspapers’ websites before footage could air on broadcast stations. 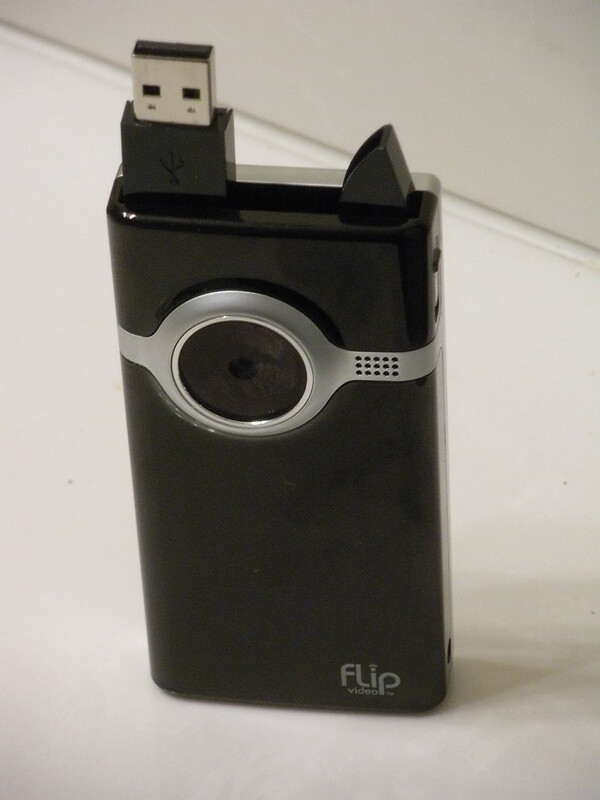 The Flip cam may cease to exist, but video isn’t going to go away. Smart phones and digital video recorders that are more powerful and with more features and costing about as much as a Flip cam will continue to grow. How do you shoot video? The last few years that I’ve attended board meetings, we’ve brainstormed on how to recruit and retain members. Everyone has ideas — some good, some great, some feasible, some not. Then we leave the meeting and one or two ideas are carried forward and the rest are quickly forgotten because jobs and the day-to-day stuff get in the way. This year at the board meeting, we did something different. We assigned people to carry them forward. And we assigned due dates. We all hedged on dates, but as we reviewed the ideas from late Friday, everyone ensured that they made it to the matrix, showing what month it was due and who would carry it forward. We worked through lunch. We worked through our stopping time. At the end of the meeting, we had a thorough list. It included speed networking, more postings on Facebook and LinkedIn, articles and videos profiling our diverse members. The one thing we all agreed on was that we can’t escape the personal touch, as Meg Hunt, a past president from SC, noted. “In a generation where communicators sit beside each other and text, we have to have the personal touch,” she said. My commitment is to take everything from the flip charts and put it on paper and share it electronically with the NFPW board and affiliate presidents and membership directors. The list may provide inspiration at the affiliate level. 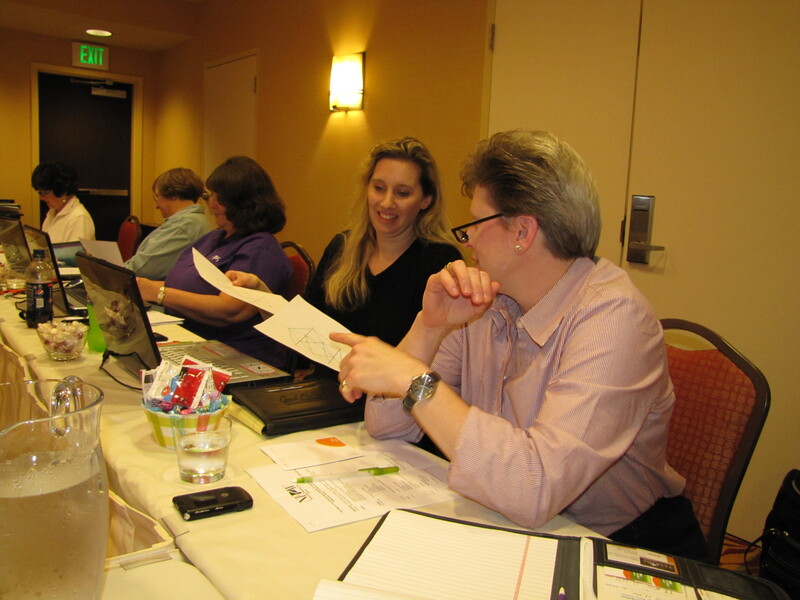 At the national level, board members are committed to following through on the items. The goal is stronger engagement with members through better outreach. Let us know how we’re doing. More importantly, let us know what you want from your membership. The NFPW board is meeting in Greenville, SC, hosted by Media Women of South Carolina. Friday was a beautiful, sunny day in town, but the board members were inside a hotel meeting room with no windows. The AC made it slightly chilly. Why would we give up a day to explore the city and enjoy a beautiful spring day, especially those members coming from winter states (Idaho, Illinois, Pennsylvania)? Because we’re passionate about NFPW. The meeting took a few minutes to begin because we had to catch up on what each person had been doing since we last met face to face. Those friendships are one of the hallmarks of this organization. It’s the value add that you don’t find in many professional groups. We heard a presentation from Better BNC about taking the communications contest online. Now don’t anyone panic! We’re only in the exploratory stages. However, we’ve learned from other organizations that run online contests that everyone finds it easier once they make the adjustment. This includes the administrator, the contestants and the judges. It also is less expensive because there are less administrative expensives (think shipping all of the entries all around the country) and more members enter because of the ease. We plan to hear presentations from other firms at the September board meeting before taking further steps. Have any of you entered a communications contest online? If so, let us know what you thought of it. We also heard from Marsha Hoffman and Lori Potter, two of our members who are hard at work on the 2011 conference in Nebraska and Iowa. These two affiliates decided to partner to put together a fantastic conference with great speakers and pre- and post-tours. We expect to have everything on the website by May 15, including the option to pay for everything (registration and tours) by credit card. Where do we go from Nebraska and Iowa? Arizona is hosting us in 2012. The hotel contract has been signed. We’ll be in Scottsdale. Two affiliates plan to submit proposals for 2015 and 2016. That means we’re still looking for hosts for 2013 and 2014. Is your affiliate ready to step up? We also are exploring membership and how we can better reach out to our members. We started brainstorming late in the date, and everyone asked for extra time to finish sharing their ideas. 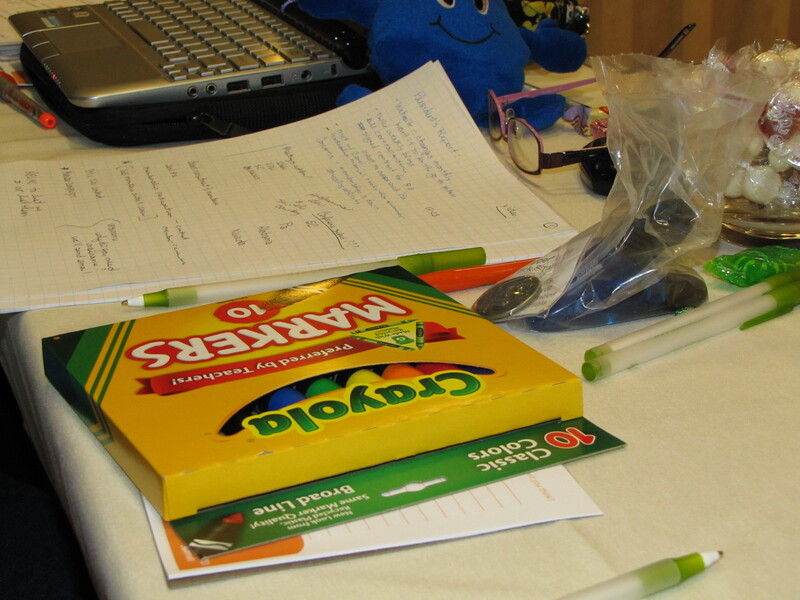 We’ll pick up with the brainstorming and other business by 8 a.m. today. Yes, it’s Saturday. And yes, it’s another beautiful day. Our incentive is that each of cares passionately about NFPW and wants to continue to make it stronger. We have a few other incentives, though. We’ll work through lunch eating pizza (why does pizza make everything more enjoyable?) and if we finish early, we’ll have that much more time to explore Greenville.